Thanks to everyone whose contributions and, best, enthusiasm has helped the substance and accuracy of this site immeasurably. Gary M. Emerson's "A Biography of John Magee" in the Crooked Lake Review - Spring, 2000, is the bedrock of family history. Joyce Tice's amazing History Center gives online access to "over 18,000 pages of resource materials and tools for Tioga and Bradford Counties in PA and Chemung County in NY." Her work and resources will stand for generations. 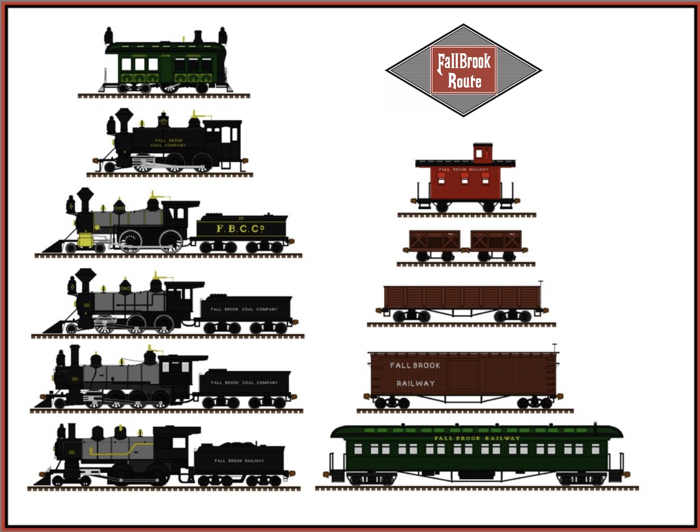 And thanks to Andrew Moyer for this delightful recreation of Fall Brook rolling stock.